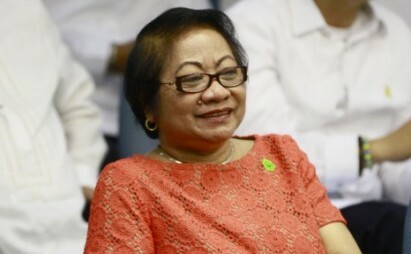 MANILA - The rising stature of the Philippines as one of the top retirement havens in the world augurs well for the creation of job opportunities in the local health industry, Labor and Employment Secretary Rosalinda Dimapilis-Baldoz said Wednesday. “The Forbes magazine’s recognition of the Philippines as one of the top 20 best foreign retirement havens in the world, specifically of the first-rate amenities offered by retirement facilities in Subic Bay and Tagaytay City, would create demand for health care services specific to the needs of retirees from any part of the world who are coming to the Philippines looking for home away from home,” said Baldoz. The labor chief said that health and wellness, which is central to the medical tourism industry, is one of the 13 key employment generators in the Jobs Fit Labor Market Information Report 2013-2020. The labor market information report cites health and wellness industry’s in-demand occupations, such as anesthetist, dentist, dietician, hairdresser, massage therapist, manicurist, surgeon, and radiologic technician, among other jobs. The hard-to-fill occupations are biochemical engineer, microbiologist, cosmetic surgeon, and physical therapist. There are also cross-cutting occupations who are both in-demand and hard-to-fill, and these are physicians, pharmacists, nutritionists, and medical technologists. “We need to fill this demand by providing the right training and education so that we can create a niche specific in this emerging healthcare market. There is a huge potential in generating quality jobs in medical tourism,” Baldoz said. The Secretary also acknowledged the efforts of some higher education institutions that are pioneering in the offering of curricular programs to professionalize the health and wellness occupation. “With the Philippines emerging as a retirement haven, our educational system must also attune itself to the demands of the labor market by producing graduates equipped with the right skills and specialization, such as geriatric health care,” Baldoz said. Forbes magazine cited the Philippines’ affordable cost of living, tropical environment, English-speaking population, and “outdoor beauty” as pensioners’ reasons in patronizing the country’s retirement amenities. Baldoz, who was recently named by the UN as one of the Commissioners in the UN-High Level Commission on Health, Employment, and Economic Growth, market-pitched the country’s retirement haven stature as she reiterated her call to high-income countries to invest in human resources development in healthcare in developing countries. “This must be a response to the challenge of the WHO projection of 40 million new healthcare jobs to be created in these countries and to the 18 million shortage in healthcare workers in low and lower middle-income countries by 2030,” Baldoz said. The Secretary said the country’s health care workforce could meet the demands of countries with aging populations. In her recent working visit to Japan, Baldoz had proposed to the Japanese a technical cooperation program on education and training of Filipino nurses and caregivers using Japanese standards, especially on geriatric care leading to mutual recognition arrangements. Baldoz also informed that a similar technical cooperation program is being worked out with Germany in support of the Germany-Philippines Triple Win Project under which Germany sources its healthcare worker needs from the Philippines. The technical cooperation program, to be worked out with labor, health, education authorities, and private sector hospitals and elderly care institutions, will involve the development of policies on ladderized national training certification for caregivers and care workers; conduct of researches and studies on the German labor market; development of curriculum for geriatric care and elective German language training; and setting up of recognized German language centers in the Visayas and Mindanao. “It will be a different perspective if foreign retirees -- instead of our health care workers leaving the country to work abroad -- would come to the Philippines to avail not only of our touristy amenities but also of the distinct brand of healthcare provided by our medical and allied field professionals and workers,” Baldoz said.